Tennessee is taking advantage of its newly voter-approved Amendment 1, a vague constitutional amendment that allows abortion to be severely restricted or banned altogether. The state's first attempt to curb abortion rights under this new amendment? A bill mandating ultrasounds for Tennessee women obtaining abortions. Republican Rep. Rick Womick introduced Tennessee's anti-abortion bill on Thursday, the first in a probable series of abortion restrictions likely to come in the Volunteer State in the next year. The bill, HB 2, would require Tennessee women to undergo an ultrasound no less than 24 hours or more than 72 hours before an abortion procedure. But, like many state-mandated ultrasound laws, the bill goes beyond the procedure: HB2 forces women to not only look at the ultrasound image, but also listen to the fetal heartbeat. The bill claims the state will give women the chance to opt-out from seeing the image, but there's a pretty big catch: The ultrasound technician or doctor must verbally describe the image, noting "the dimensions of the embryo or fetus ... and the presence of arms, legs, external members and internal organs," and then provide the woman with a print copy of the ultrasound. To ensure that abortion providers are following exact protocol, women and their doctors will have to sign a form confirming that an ultrasound was given; the image was viewed or verbally described; the heartbeat was listened to; and a copy of the ultrasound image was provided. Oh, and just one more little thing: HB2 would require the ultrasound image to remain in a woman's medical records for seven years. Right now Planned Parenthood and all abortion clinics do ultrasounds before they perform the abortion. All this bill would say is look, let the mother see the picture and hear the heartbeat, that's all this bill would do. Abortion rights activists, however, fiercely criticize mandated ultrasound bills — especially ones that force women to look at the image and listen to the heartbeat — because they lack medical intent or logic. 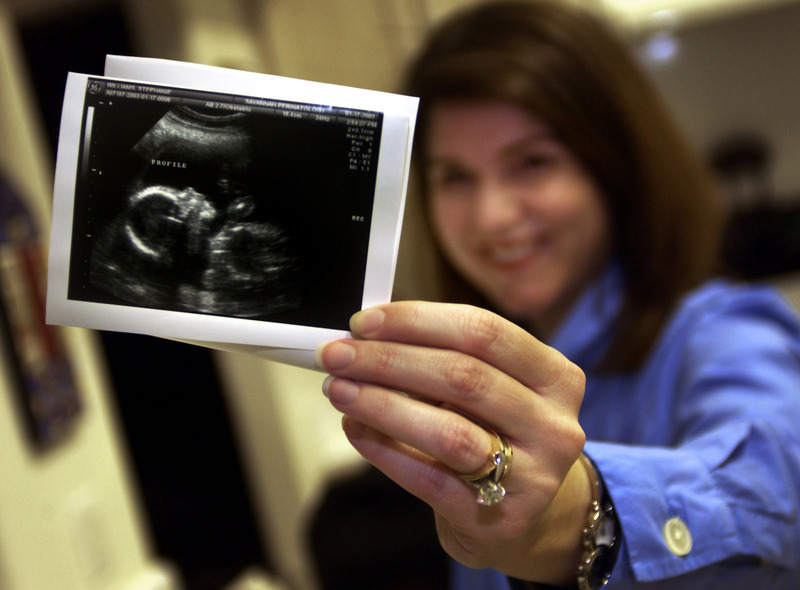 Critics of ultrasound bills, including Planned Parenthood of Middle and East Tennessee President and CEO Jeff Teague, say the measures are just another anti-abortion tactic to dissuade women from having abortions — and shaming them when they do. Women are given that opportunity now; the only difference is this is forcing women to either view the ultrasound or to have something described to them that they may not want. This is about shaming women and demeaning them. According to the Guttmacher Institute, 23 states currently have mandated ultrasound bills in place, but just three states require women to look at and hear a description of the ultrasound image. A bulk of the remaining states must provide women with the opportunity, or an offer, to view the image. If HB2 passes the state legislature and goes into effect in 2015, it will be one of the harshest ultrasound laws in the nation. Though it's apparent ultrasound bills are a thinly veiled attempt to stop women from obtaining abortions, do they actually work to change the patient's mind? Most women and abortion providers say no, and research is in their favor. A study published in January in the journal Obstetrics & Gynecology concluded that viewing the ultrasound image doesn't affect the "large majority of women" who were certain about their decision. After looking at medical records from over 15,500 women who sought abortion care in 2011, the researchers found that of the 42 percent of women who chose to view the ultrasound image, 98.8 percent terminated their pregnancies. And for the women who didn't terminate, viewing the image was not the reason for continuing with the pregnancy. Still, anti-abortion lawmakers continue to peddle this myth. Ultrasounds may be common practice prior to an abortion procedure, but it's suspect whether or not seeing the image can change a patient's mind. In actuality, forced ultrasound bills may just mean more red tape for abortion providers — and stress-inducing, demoralizing hoops for women obtaining abortions to jump through.